Why do we run national security policy as if Jack Bauer were at the helm? There’s terror going on in the world and we need hard men, the right men. Men with Heckler & Koch MP5s, silencers and holographic sights. Men who know how to wear a balaclava and fingerless gloves. Above all, we need men aware that the only thing protecting us from the be-bombed madmen of the world is the judicious application of extreme violence and a little enhanced interrogation. At least, that’s what Tom Clancy taught me. But Clancy’s takes on terrorists and on terror were backwards at best and are what makes us morons on the subject at worst. 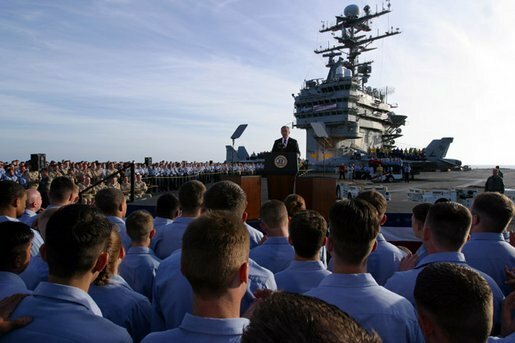 Despite being 16 years into the War on Terror, the U.S. is still bumbling around as if the causes of extremism and ideological violence were unknowable, and as if the only tools to fight them belonged to the Pentagon; as if Patriot Games and The Sum of All Fears were our operating manuals. Every new attack meets with fervent calls for more action, more military response. Terrorists are enigmatic figures waiting in the wings of Clancy’s books, but in the real world, terrorism arises from causes that are always political and knowable. Young people in Ireland took to political violence because of repression by the British state. Young Jews in Palestine in the first half of the last century took to violence in the name of Zionism and against the British mandate, including future prime minister Menachem Begin. The Muslim Brotherhood made itself heard through violence because the secularizing government of Hosni Mubarak worked to eliminate their brand of Islam. Palestinians joined the P.L.O. and mounted attacks because, whatever the situation ought to be now, the British straight up gave their homeland away to the new State of Israel. Domestic attacks in Europe? Muslims, especially those of visibly foreign extraction are pushed into urban slums, denied citizenship or participation in mainstream society, and witness systematic legal restrictions on Islamic practice. The 9/11 attack in the U.S.? Provoked by US involvement in the Middle East—especially the bases it maintained in Kuwait, Qatar, Bahrain, and especially Saudi Arabia, home to the Kaaba at Mecca—and its support for Israel. The vast majority of attacks on Americans, i.e., in Iraq and Afghanistan, after 2001 and 2003? We were engaged in a military occupation in those countries. Terrorism is bad, and we should want to stop it, but if you’re looking for the stuff you need to resolve to ‘win’ the War on Terror, there you are. 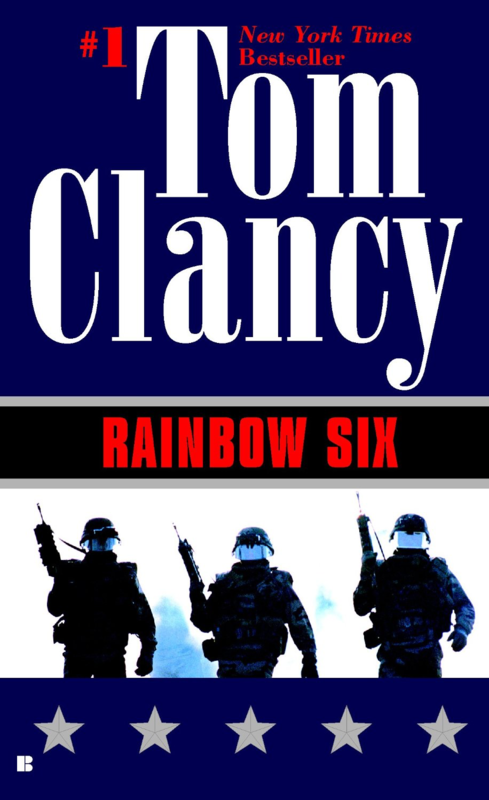 Rainbow Six, published in 1998 and describing events in a future year 2000, is the book that most exemplifies Clancy’s take on terror. John Clark, after his long service with the C.I.A. in books like No Remorse and Debt of Honor, partners with some folks in Britain to create Rainbow, an international counterterrorism force. Rainbow’s adversary is a group of radical environmentalists working on an Ebola mutation that they’ll use to wipe out all of humanity, save themselves. They want to dust the crowd at the upcoming Australian Olympics with the germ, but first they need to get the counterterrorism contract for said games. To do that they hire Popov, an ex-KGB agent with ties to the “international terrorism community,” who contracts terrorists to carry out attacks. Despite those attacks getting put down by Rainbow, they increase awareness of terrorist threats enough to get the environmentalists the contract. In the denouement, Rainbow foils their plot and then, because they don’t have the evidence to prosecute the environmentalists, Rainbow murders a few and leaves the rest naked, to die, in the Amazonian jungle where they’ve been hiding since they found out Rainbow was on their trail. Here Ostermann was, in the center of his web, and scarcely a minute before he’d been totally at ease, feeling himself invincible, master of his fate, moving money around the world, adding to his fortune. Well, no more of that for a while—probably forever, though Petra had no intention of telling him that until the last possible second, the better to see the shock and terror on his regal face just before the eyes went blank and empty. She had forgotten how it was, Petra realized, the sheer joy of the power she held in her hands. How had she ever gone so long without exercising it? Likewise, despite them being “highly-trained Marxists,” Popov convinces the gullible Hans and Petra that on top of their payment, Ostermann has special “international banking codes” that allow him to, and which will let them, create money from nowhere. The Irishmen later on have literally no motivation except their bounty, $6 million in cash and a bunch of “medical quality” cocaine. When Ding asks Price, a fellow Rainbow member, why terrorists team up, Price responds, “‘They have to, to show solidarity with their compatriots, when in fact they are all sociopaths who don’t care a rip for anyone but themselves.’ Price shrugged. ‘Cricket has rules. So does terrorism.’” This is a theme that runs through the book. While Rainbow’s tracking Popov, they say over and over that he’s “clearly someone connected to the old terror network,” as if people from the FARC and the P.L.O. and Jemaah Islamiyah all got together to hang out on the weekends. Rather than pursue political goals at the price of their own deaths, terrorists “play the game.” Clancy equates terrorism with espionage over and over, but while Cold War spy games really were a kind of sport to the British and American aristocrats from Eton and Groton who played them, terrorism is dirtier and uglier and deadly serious for the much younger, much less educated people who get involved. More than misguided, the idea is willfully ignorant. Terrorists have always fought against better armed and better prepared enemies. The Mujahedeen against the Soviets in Afghanistan, the P.L.O. against the Israelis, the Chechens against the Russians. Tom Clancy hadn’t yet seen Al-Qaeda in Afghanistan and Iraq standing up against the greatest military power in the history of the world, but he had examples enough to know that “a new sheriff in town” isn’t going to do jack as far as extremism is concerned. While Clancy’s terrorists play ‘the game’ and engage in thrilling cat-and-mouse, real terrorists are often enough young men and women in a bad situation doing what seems to them the only thing left that will rectify it. I like Clancy’s books, and the good and evil dynamic works for them. But the world is more complicated and less easily bettered by violence. Menachem Begin and the rest of the Zionists in Palestine were fighting for something that as the ‘30s rolled into the ‘40s became imperative—a homeland to which European Jews could escape—even if their actions to promote that cause were wrong. The P.L.O.’s attacks on civilians were unconscionable, but the right of return to their homeland is hard to see as anything but the noblest of causes. In both cases, had Rainbow really existed, it could only have dealt with the symptoms, not the causes that gave rise to violence. The fatally flawed starting point of the War on Terror was the idea that we could somehow fight it by tearing down regimes in Baghdad or Kabul, that somehow “every terrorist group of global reach [could be] found, stopped and defeated” without addressing the root causes of radicalization. But when you murder folks in the haphazard way that we tend to, you only create more recruits for the movements that you’re fighting against. The War on Terror isn’t a battle between black and white. It’s a fight to convince young men and women that there’s another, better recourse than violence for changing their situation. Like we read over and over, the folks who run off to join ISIS or a radical cleric were just good kids right up until they loaded the gun or arrived in Raqa. Our job, if we want to win, isn’t to murder them at that moment but to deprive those radicalizers of the very good evidence they have for the West prejudicing this or that group, this or that country. Members of the foreign policy establishment have said since the beginning that our tactics are counterproductive. All the same, we keep doing what we have been. As H.L. Mencken predicted, a Clancy-reading public finally elected a President and a coterie of morons—Bannon, Gorka, Miller—who think that Executive Orders is a future history book. But an administration that’s getting deeper into Yemen, getting into breaking off the Iran deal, backing Israel’s expanding settlements, and placing systematic legal restrictions on Muslims, is an administration that’s looking for trouble. We’re always interested in the short, simple answers, and often enough those are the violent ones. In the tale we tell ourselves, we’re St. George, and terrorism is the dragon, because if it’s not that easy or Manichean, if what we need to be doing is talking and listening rather than slaying, what’re all the arms and armor for? They appeal not because or not just because people are dumb or lazy but because it makes use of our technological prowess, our industrial and military might, and in a twisted way, our perennial optimism. But men and women only take that steepest of leaps into terror in response to the thorniest, least tractable problems in the world, ones which have never and which will never be resolved at the end of a rifle barrel, no matter how advanced.